Looking for inspirational Dr. Seuss quotes and sayings about life from his classic children’s books? 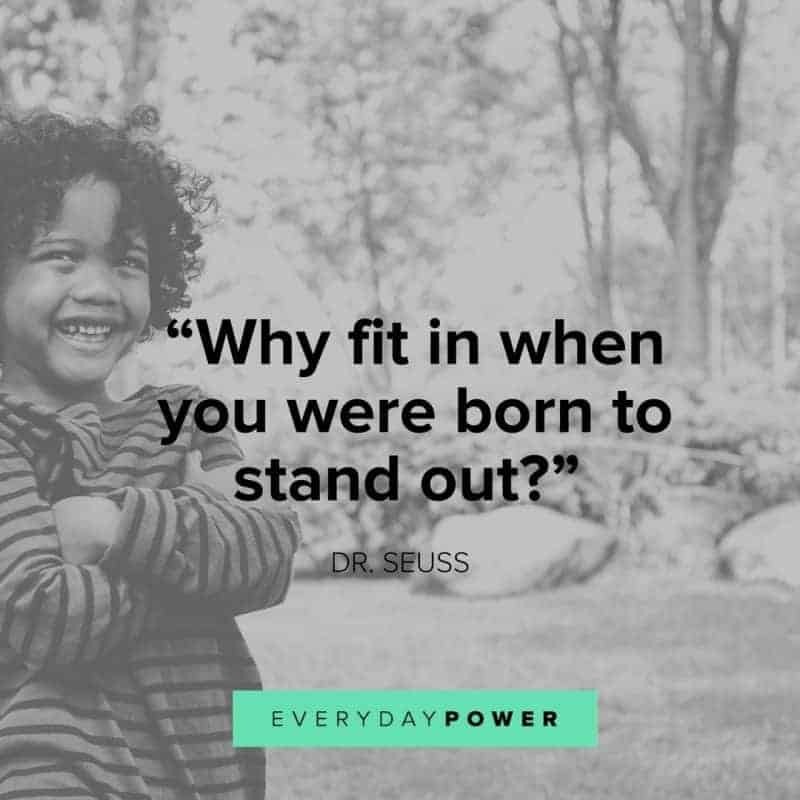 Here are some of our favorite quotes from Dr. Seuss that we’re sure you’ll love! 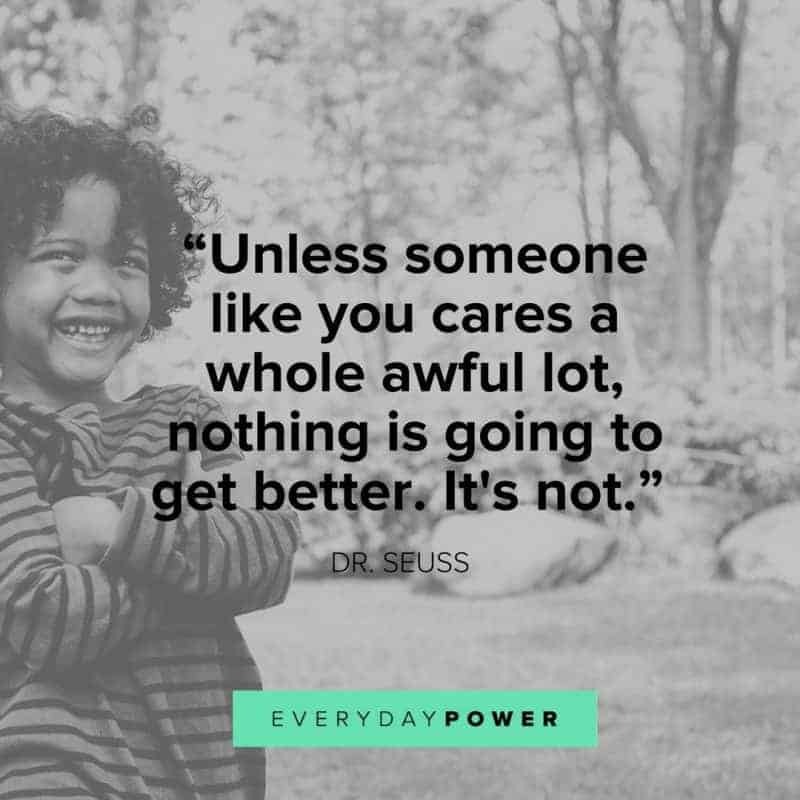 Theodor Seuss Geisel, a.k.a. 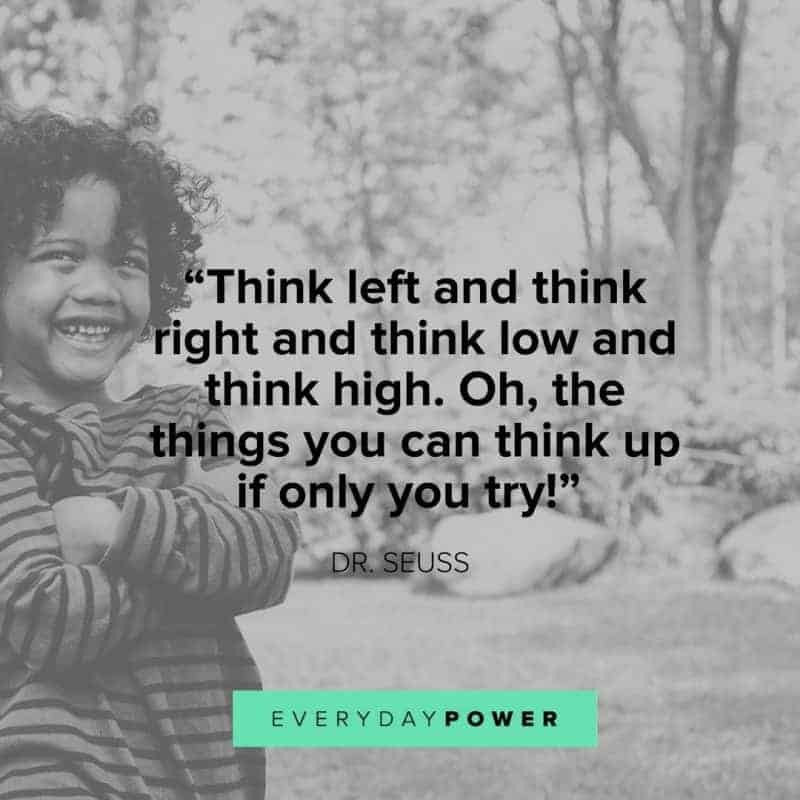 Dr. Seuss was an American poet and author who has written over 46 books. Many of his books have been made into films, while others have been studied in University classes. As a child, I remember reading Dr. Seuss’ books that always made me smile. I still smile at his wordplay. 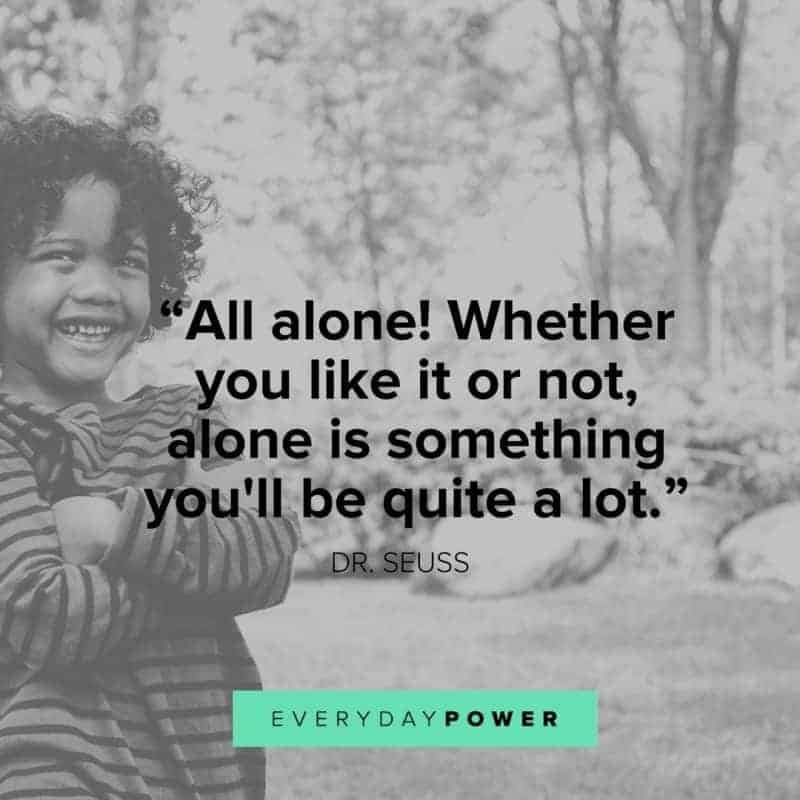 But now, I’m able to appreciate the life lessons in all of Dr. Seuss’ work. How about you? If you have children of your own, which one is their favorite? Here are some of the best Dr. Seuss quotes on love, life, graduation, writing, and more! These quotes have the power to boost your optimism and bring you happiness. Perfect for kids, adults, elephants, and Whos and also for any Grinches who might leave near you. 1.) “Congratulations! Today is your day!” – Dr. Seuss – Oh, the Places You’ll Go! 2.) “You can get help from teachers, but you are going to have to learn a lot by yourself, sitting alone in a room.” – Dr. Seuss on learning. 3.) “Fantasy is a necessary ingredient in living. It’s a way of looking at life through the wrong end of a telescope. Which is what I do. 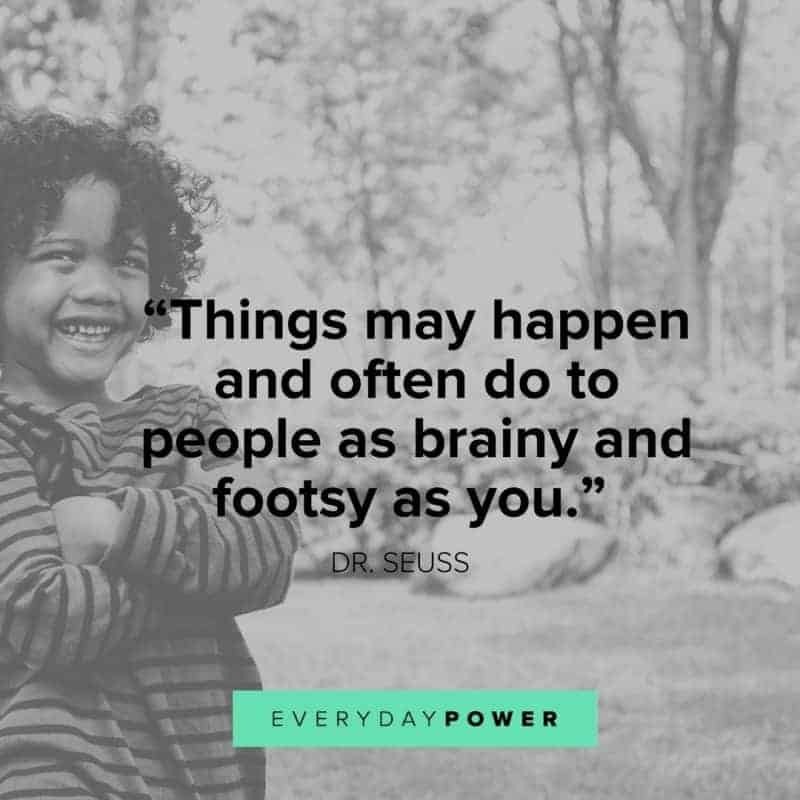 And that enables you to laugh at life’s realities.” – Best Dr. Seuss quote saying about not taking life too seriously. 4.) “If you keep your eyes open enough, oh, the stuff you will learn. 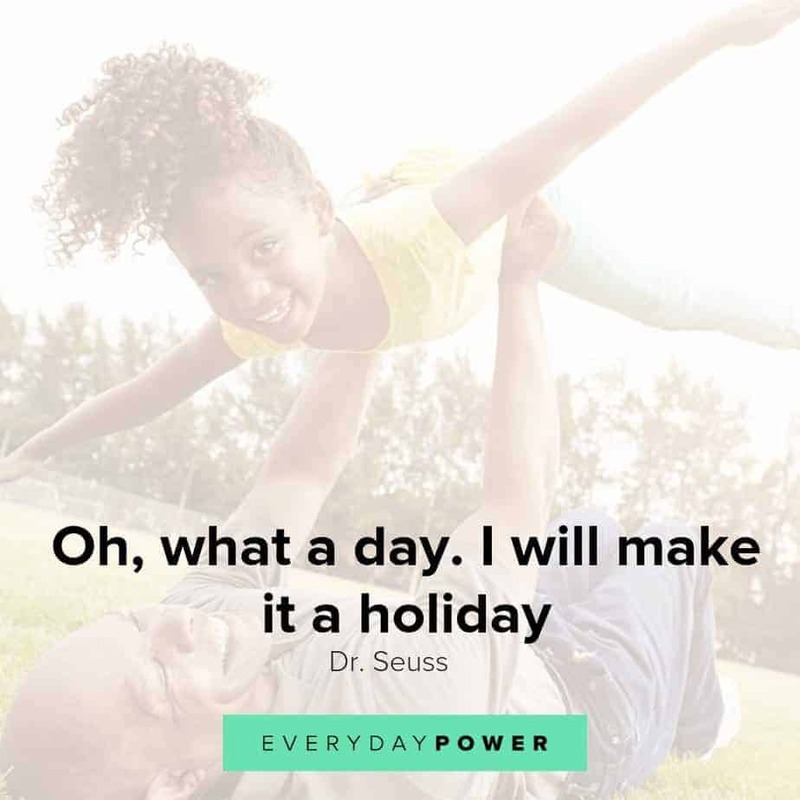 Oh, the most wonderful stuff.” – from “Oh, the Places You’ll Go! by Dr. Seuss. 7.) 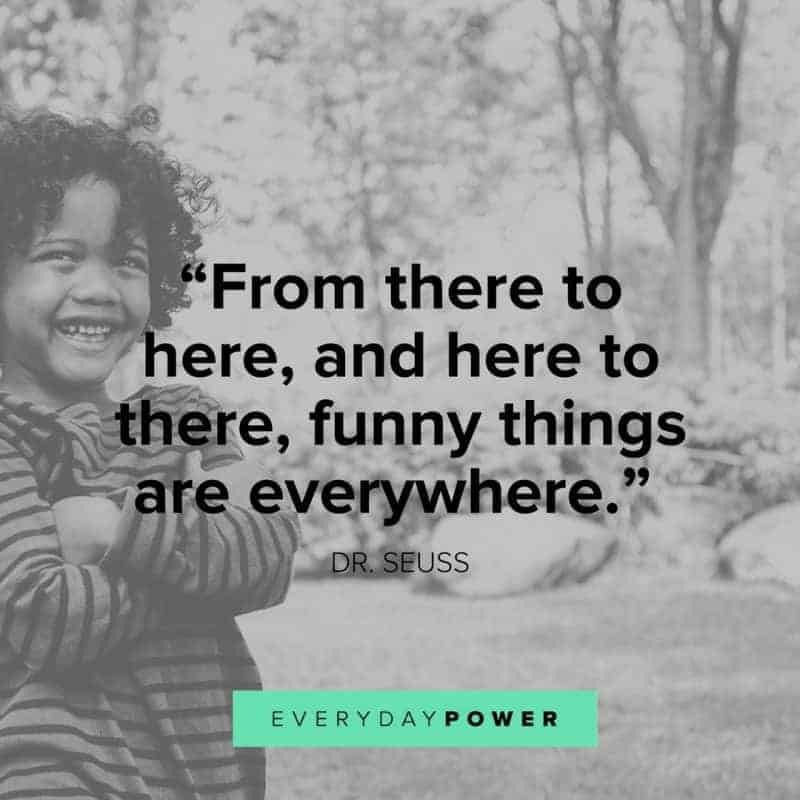 “From there to here, and here to there, funny things are everywhere.” – One Fish, Two Fish, Red Fish, Blue Fish Dr. Seusss book. 10.) “Words and pictures are yin and yang. Married, they produce a progeny more interesting than either parent. Be awesome! 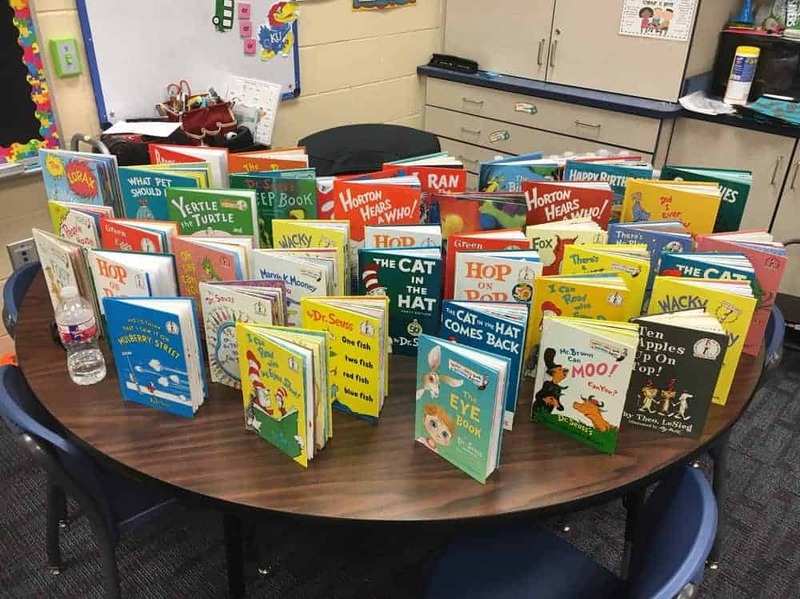 Be a book nut!” – Dr. Seuss about reading. 13.) “Only you can control your future.” – Dr. Seuss quote about the future. 17.) 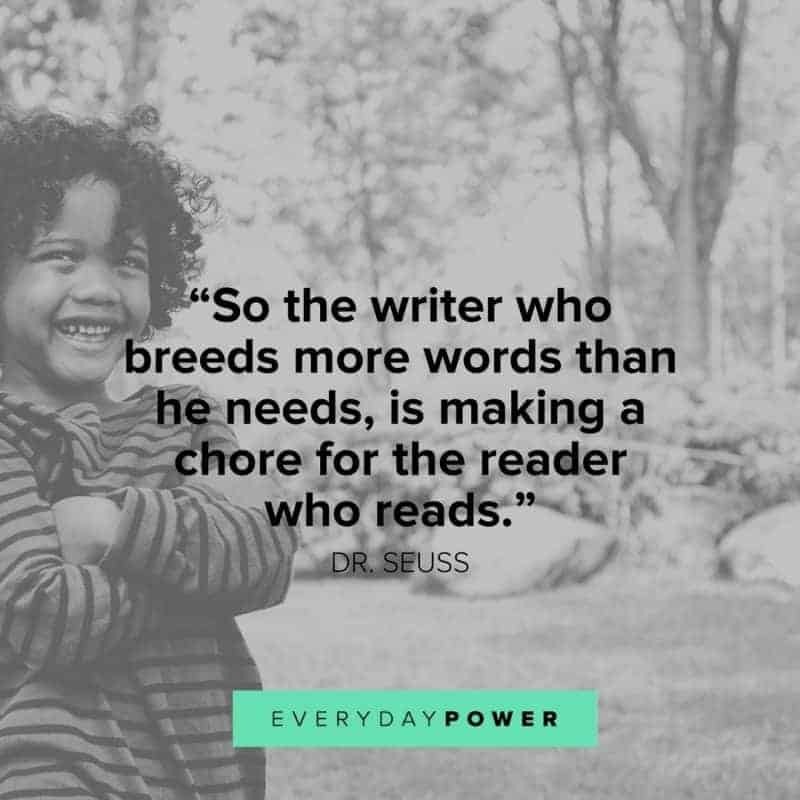 “So the writer who breeds more words than he needs, is making a chore for the reader who reads.” – Dr. Seuss discussing reading. 25.) “Today is gone. Today was fun. 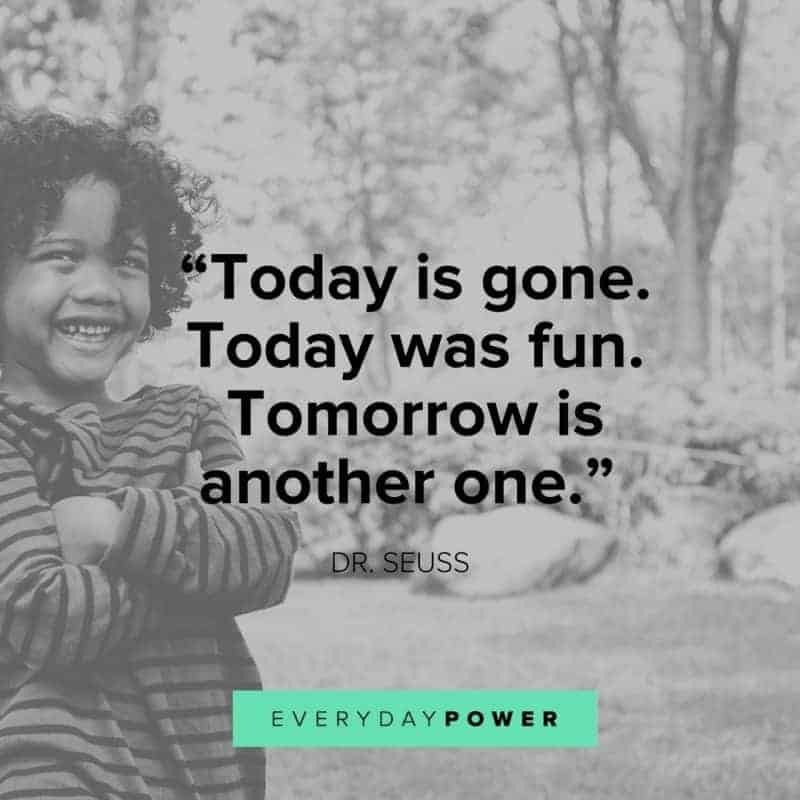 Tomorrow is another one.” –One Fish, Two Fish, Red Fish, Blue Fish By Dr. Seuss. 30.) “I’m sorry to say so but, sadly it’s true that bang-ups and hang-ups can happen to you.” – Doctor Seuss quote on life. 37.) “You have brains in your head. You have feet in your shoes. 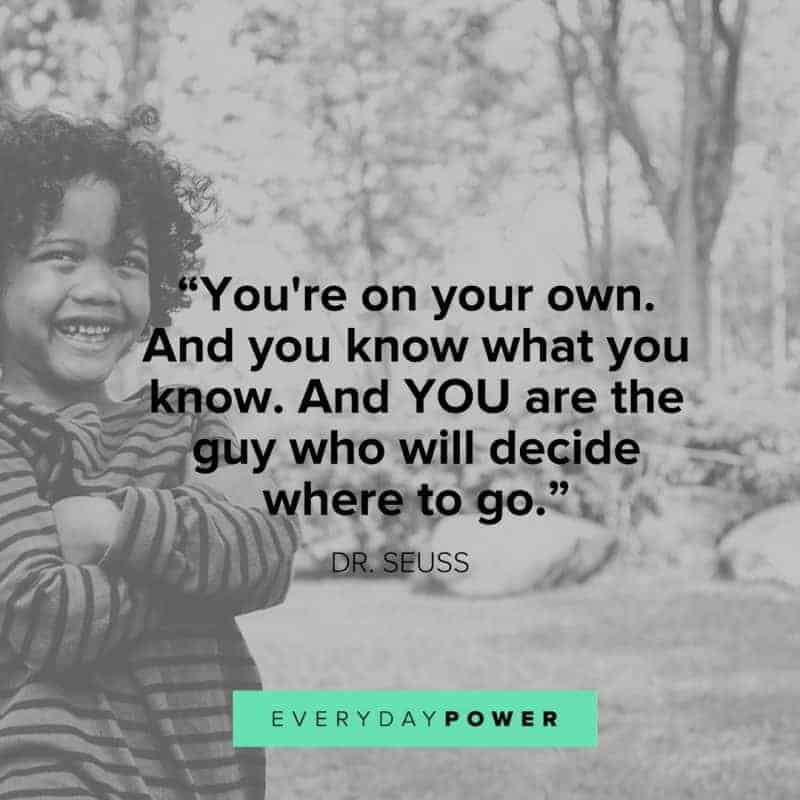 You can steer yourself, any direction you choose.” – Dr. Seuss book quotes. 52.) 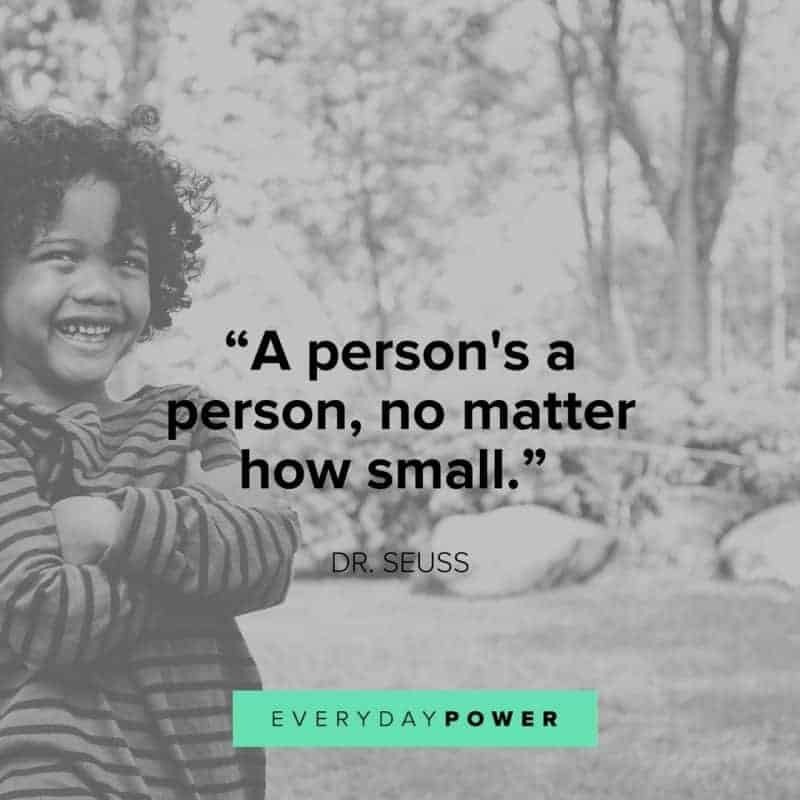 “I know, up on top you are seeing great sights, but down here at the bottom we, too, should have rights.” – Dr. Seuss about equality. 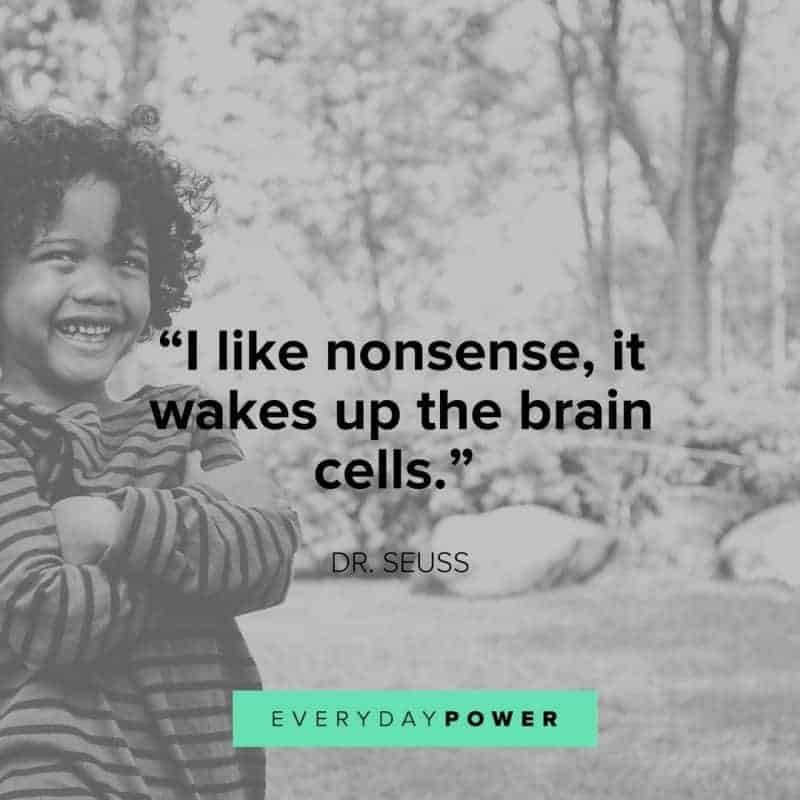 What do you think about these Dr. Seuss quotes? 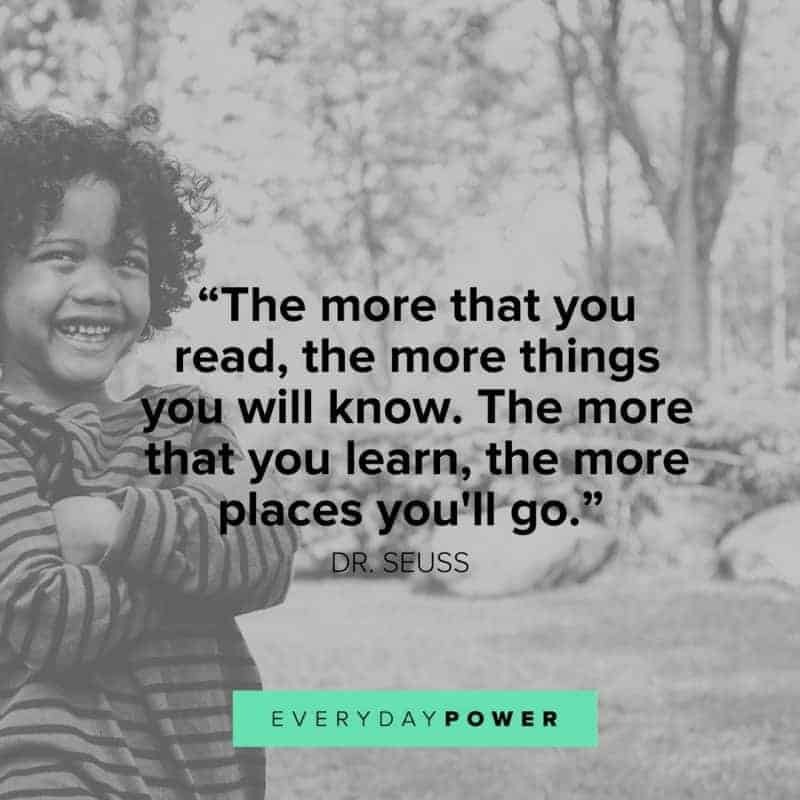 Dr. Seuss books have introduced millions of children to the joys of reading and the magic of wordplay. 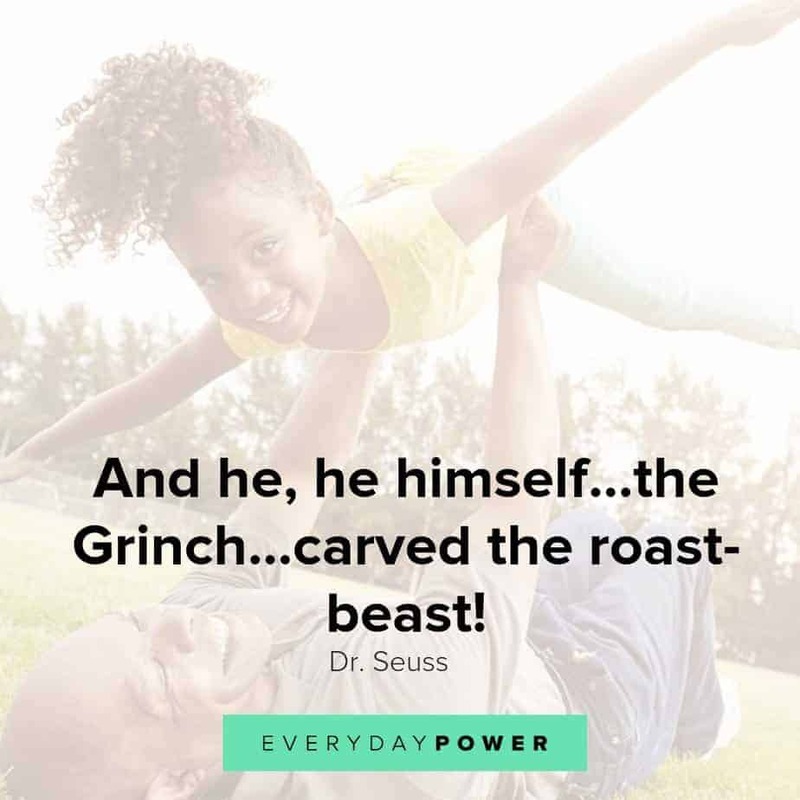 We hope his words above have brought a smile on your face. 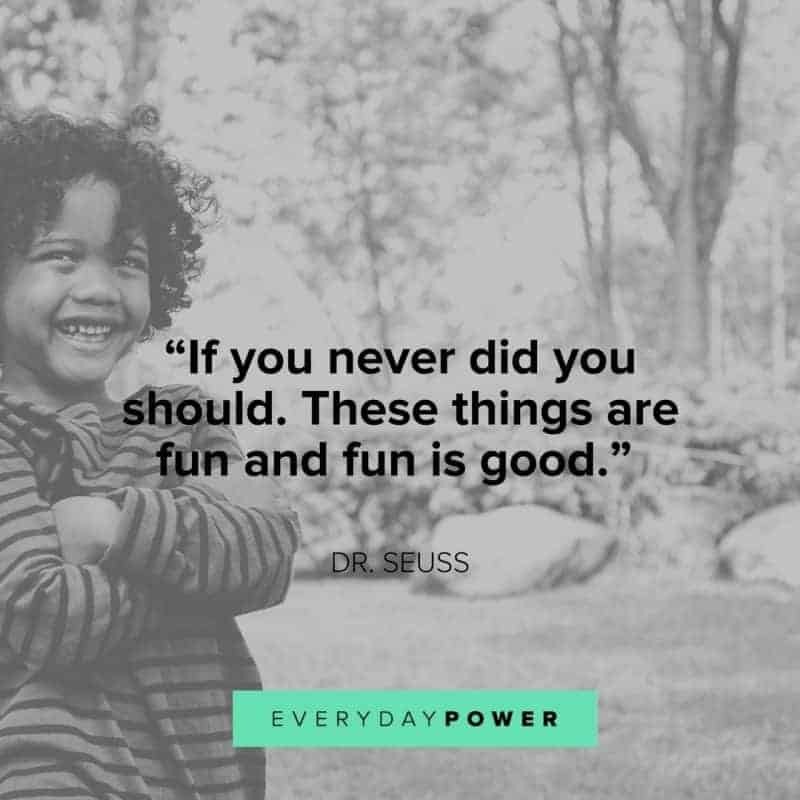 Did you enjoy these Dr. Seuss quotes? Which one of them speaks to your inner child the most? Share your thoughts in the comments section! “Be who you are and say what you feel because those who mind don’t matter and those who matter don’t mind! My absolute favorite, because it is so true and sounds like a Quote one that your Mother might have said to you. My favorite Dr. Seuss quotes was, “Fantasy is a necessary ingredient in living. It’s a way of looking at life through the wrong end of a telescope. Which is what I do. 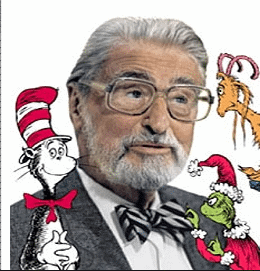 And that enables you to laugh at life’s realities.” – Best Dr. Seuss quote saying about not taking life too seriously.